OUR PHONES MAKE life easier, but that hasn’t stopped us from creating all kinds of hacks to make them partner better with our brains. We take snapshots to remember our coat check number. We use screenshots to show friends conversations we had with others. Sometimes, I’ll listen to music while walking not because I want the jams, but because I’m expecting a call, and keeping headphones in is the best way to not miss it. These shortcuts work because they eliminate the taps involved in typing out a thought in Notes, or free you from fumbling for your phone in the zippered pocket of your backpack (or is it in the main compartment?) HiSmart, a new bag from Chinese design company Lepow, is built around that idea of streamlining interactions. It’s no Birkin, but the satchel shows how today’s bags might benefit from some smarts of their own. Qifang Dai and Ray Lei created the HiSmart bag to make life easier for commuters. It can transform from backpack to messenger bag, but either way, the marquee feature is its strap, which hosts the HiRemote. The silver disc features two Bluetooth chips that communicate with an app on your phone, even if it’s buried deeply within your bag. The remote has a simple interface: ‘plus’ and ‘minus’ buttons control music volume and let you skip tracks. A triangle button answers or ignores calls. A circular button handles the extras, like dropping a pin (to remember where you parked, say), recording notes with a built-in mic, and taking pictures. There are plenty of practical perks to embedding technology into a bag. Dai notes that the HiSmart bag lets the wearer use both hands: “Some functions even smartwatches can’t realize. When riding a bike, you can’t answer a call and talk to the watch.” If you have your bag, but not your phone, the bag acts as an automatic Find My iPhone-type of sleuth. The picture-taking functionality is especially clever: You set your phone down, back up, and just tap a button on the bag’s remote. The strap could spare the world an untold number of selfie sticks. We’re used to hearing about the smart home and how connected functionality will soon embed itself in all our appliances. We’re also told that technology will move onto our body. HiSmart shows a combination of these two trends that might actually be useful. It’s taking a few things we do with our smartphones and putting them in a slightly more convenient place, moving interactions off the screen to a more natural site. 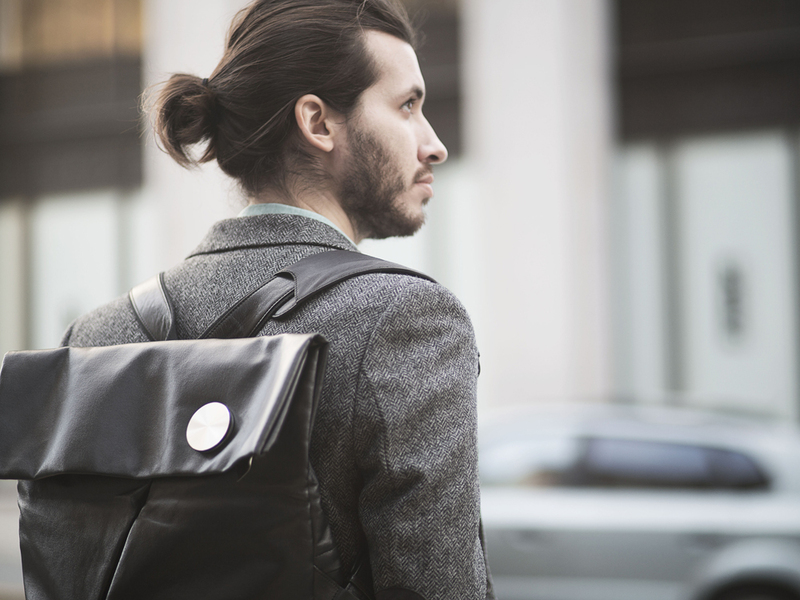 Even if the HiSmart doesn’t appeal to you, a Smart Strap for your favorite bag might. Lepow is raising funds for the HiSmart bag onIndiegogo. Each bag costs $200.